I wanted a bright and Springy accessory to wear with my velvet Pilvi coat. I feel that a red scarf can take this coat into winter, but a bright green or yellow makes it more suitable for Spring. I didn’t want anything too big, since I want the pattern of the coat to take centre stage. I had some beautiful Shalimar Breathless “Sedge” in my stash, so I whipped up a petite Charm Shawl. 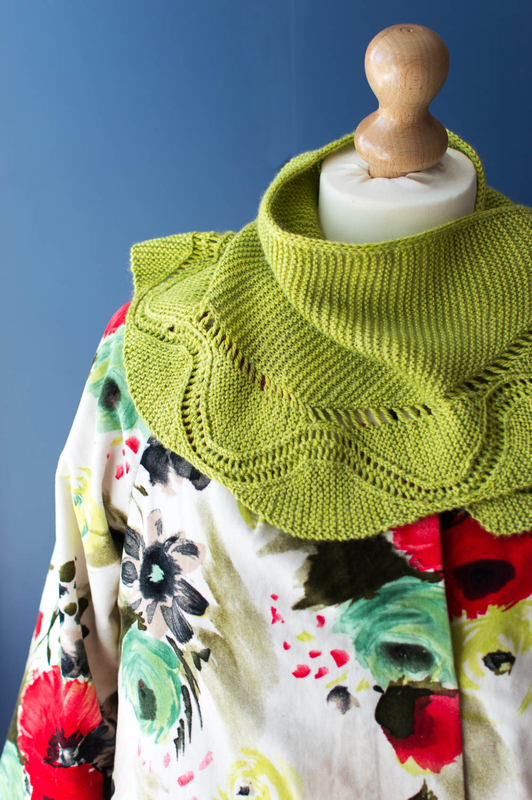 I find this shawl very easy to wear; I like it’s curving form. I have at least four, in different sizes. I made this one very small, since I’d used some of the yarn already, in a fair isle project. One of the handy things about this pattern is that it’s adaptable to whatever yarn quantity you have. 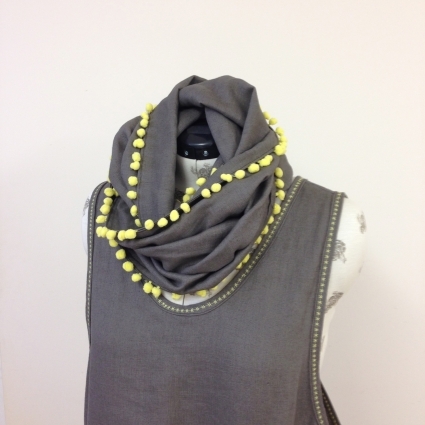 I also like the idea of having a gauzy cotton scarf with pom pom trim. Lotta Jansdotter has one of those in her Everyday Style book, too. 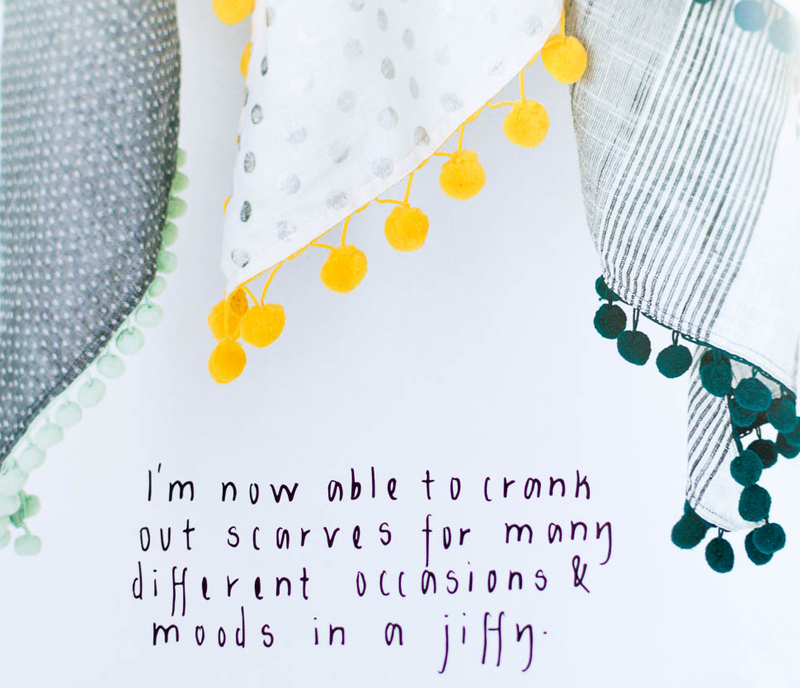 I also really like this cleverly simple Infinity scarf at Sew Me Something. She has included a tutorial, using only 40cm of wide fabric plus 2.8m pom pom trim. I’m going to search out some natural, light cotton and yellow pom pom trim! 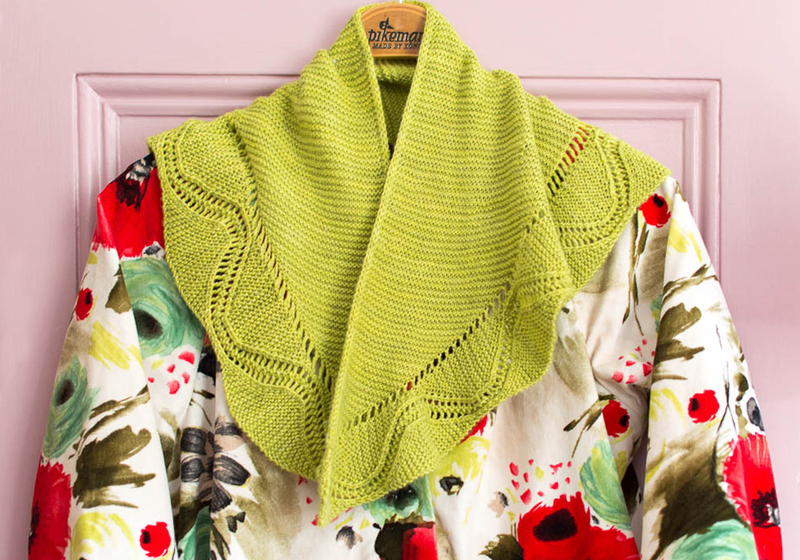 Gorgeous green and perfect with the coat! Purl Bee also has a great tutorial for a pom pom trimmed infinity scarf that I’ve successfully made. It’s called Long Pom Pom cowl.